If the roof on your home or business is starting to turn into an eyesore, you should know that there are services available that can change that. You don’t need to replace the entire structure to get the look of a brand new roof. Custom Coating Restoration can provide you with Cool Roof Coating and other sealing, cleaning, and color restoration services in Irvine, CA to give you similar results at a fraction of the cost. Every now and then, your roof just needs a quick cleaning to knock things like dirt, debris, algae, mold, and more from its cervices. Custom Coating Restoration offers excellent roof cleaning and power washing services in Irvine, CA at a fair and affordable cost. 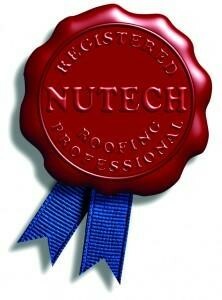 Trust us when we say it will make a big difference in the overall look of your roof. However, this is not your only option. We can also do more than pressure washing and cleaning which you will see below. Over time, the sun and other weather elements can take a serious toll on your roof. Custom Coating Restoration offers Cool Roof Coating, which helps prevent the sun from damaging your roof by reflecting up to 98 percent of infrared light. We can also put a commercial flat heat reflecting roof sealer on your Irvine, CA business’ roof to bring down your cooling costs and stop sunlight from doing extensive damage. Do you have a tile, metal, or composite roof on your home or business? We specialize in working with these materials at Custom Coating Restoration and can restore their original beauty by offering tile, metal and composite roof coating and sealing services in Irvine, CA. We can change the color of your roof if you would like (we have 39 colors to choose from) or simply clean and seal it for you. In California, your roof attracts a lot of sunlight throughout the course of a day. To lessen the damage that infrared light can do, Custom Coating Restoration can put a commercial flat heat reflecting roof sealer on your Irvine, CA roof. The white and gray silicone roof coatings we offer will hold up under just about any conditions. When the tiles on your roof begin to fade, it can make your entire roof look old and dingy. This alone might have you seeking a roof replacement earlier than you really need to. However, you should definitely set up a consultation with us before making such an expensive decision. Custom Coating Restoration offers sealing, cleaning, and color restoration services in Irvine, CA that can fix the problem without clearing out your wallet. At Custom Coating Restoration, we will stop at nothing to make sure your roof looks its best. Whether that means applying Cool Roof Coating or offering one of our other sealing, cleaning, and color restoration services in Irvine, CA, we will get the job done for you. Contact us at 800-621-6722 today to get started.